According to Statista, “In 2017, about 125.97 million people were employed on a full-time basis.” Countless people solely depend on their job to support their family, yet workers’ compensation has been an issue within society when people are injured in their work environment. Many people are unaware of how to file workers’ compensation claims when an accident has occurred. This causes some individuals to lose wages they may have gained through a settlement claim if they would have filed their case. If you or someone you love has suffered an injury, you need a Green Bay workers’ compensation lawyer. Back in July 2015, an incident occurred where an employee was working at a processing plant, and her finger was injured on the processing line. The injury was so severe that the doctor had to amputate her finger. This is only one example of the numerous accidents that happen in workplaces across America. But, there has been an increase in the number of injuries reported in Green Bay’s Tyson Plant. With the rising number of injuries in the Green Bay area, workers’ compensation claims are increasingly growing as well. A memorandum by the Occupational Safety and Health Administration states, “Workers employed in the poultry industry face many serious hazards, including high noise levels, dangerous equipment, musculoskeletal disorders, and hazardous chemicals such as ammonia, used as a refrigerant, and peracetic acid used to kill bacteria.” Various people from different companies risk their lives daily to make a living for themselves or their families. With the hazardous conditions and an increasing amount of reported injuries within the Tyson Plant, workers’ compensation claims continue to arise. When someone has been injured on the job, it can create worry about how they’re going to pay their bills and take care of their family. In some cases, people brush off their accident because they believe their injury is not serious until it’s too late. Even if you believe your accident was not serious, file a claim anyway. You may not feel instant pain, but filing your injury claim may result in receiving workers’ compensation benefits. Don’t allow yourself to get injured on the job, and not receive a settlement for the pain you may have experienced. If you have been injured on the job, follow these steps which could potentially allow you to receive compensation benefits. Immediately report to your employer if you have been injured. 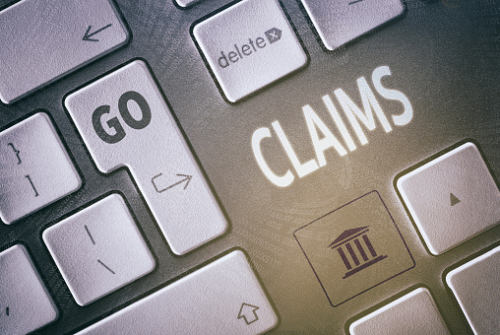 In some injury cases, those who failed to notify their employer of an incident were not able to receive benefits. By reporting the accident, it will be determined if you’re entitled to receive workers’ compensation. Don’t hesitate to inform your employer. Once you have reported your accident to your employer, and are unable to work due to an injury, your employer, by law, must report the accident to their insurance company who will then file it to the State’s Department of Industrial Accidents. The paperwork your employer is required to file is Form 101, which is the “Employer’s First Report of Injury or Fatality.” Your employer is also required to give you a copy of the report. Hire an experienced attorney that is aware of the laws surrounding workers’ compensation. An expert in workers’ compensation claims will ensure the laws are followed and that you receive the compensation you deserve. Our lawyers will also guide you through the paperwork you need and will show you how to document your injury for workers’ compensation benefits. If you decide to see a doctor, make sure to keep all documentation received from your appointments. Any documentation you receive throughout the course of your injury can be used for records, and your medical bills can potentially be paid by workers’ compensation benefits. Not only may workers’ compensation potentially cover your medical bills, wages, and include the pain and suffering you have experienced. 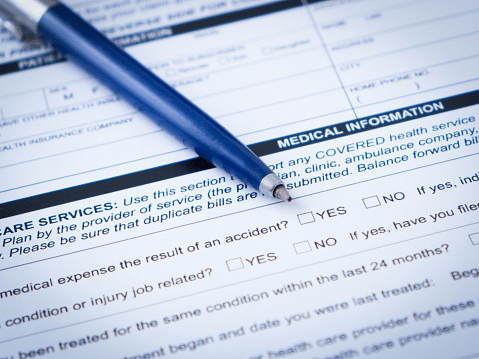 If you don’t keep proper documentation, it can be challenging to receive compensation benefits for your injury. After suffering an injury in the workplace, you deserve to earn the full amount you’re entitled to, and have your bills and wages taken care of. A workers’ compensation attorney can help put you or the people you love at ease during your time of pain and suffering. The attorneys at Fitzgerald and Bomier have over 35 years of experience handling compensation cases. If you or someone you know has been injured on the job, call our Green Bay workers’ compensation lawyers at Fitzgerald and Bomier. When you need an attorney, trust the voice of experience. We are here to help you receive the compensation you deserve for your injury. It is your right to receive a settlement for your injuries. Contact us today for more information. Chris Bandas is an oilfield accident attorney in Corpus Christi, Texas and the managing partner of The Bandas Law Firm. The Bandas Law Firm was founded in 2003 and focuses on personal injury cases such as auto accidents, truck accidents, medical malpractice, wrongful death, and product liability.